Homestyle Ferndale Gardens at Bayswater North provides permanent and respite residential aged care for the eastern suburbs within tranquil bushland. Tucked away off Bayswater Road, Ferndale Gardens nursing home is a modern 121 bed home with traditional homely ambience, where residents needs come first and visitors are made very welcome. All resident’s individual rooms look out to peaceful courtyards with inspiring gardens and water features. Gazebos and outdoor barbeque facilities enable special family occasions to be celebrated in a safe and secure environment. 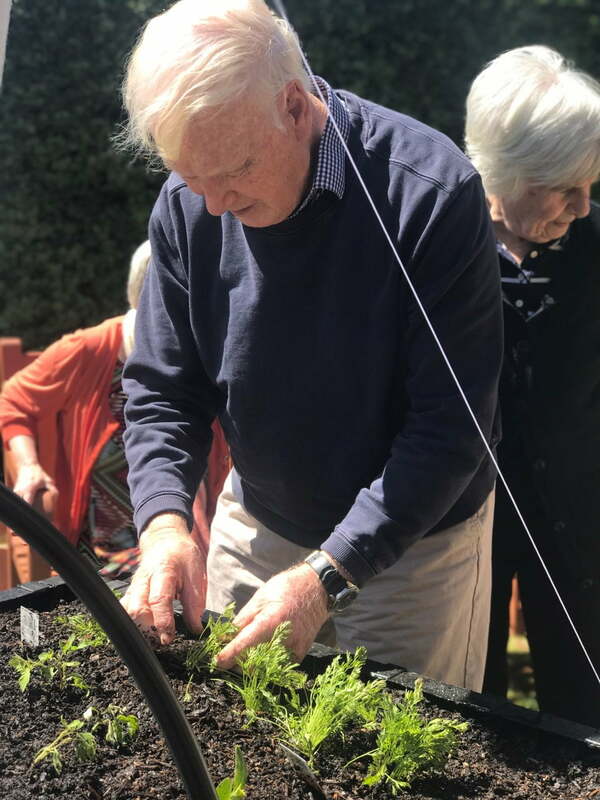 With a long-established reputation of staff providing high quality care, Ferndale Gardens continues this respected tradition in our refreshed environment. Ferndale Gardens is conveniently located on Bayswater Road, between Canterbury and Eastfield Roads and not far from Eastlink. Public transport will bring you right to our doorstep, with trains to Bayswater station and the connecting 664 bus service. Ringwood, Bayswater and the local Eastfield shopping centres are nearby, providing a comprehensive range of shops, cafés, entertainment and essential services. Maroondah Hospital is also only a short distance should the need arise. Please select a room below to view the equivalent Daily Accommodation Payment (DAP). To calculate the DAP on a combination payment, please enter the Refundable Accommodation (RAD) amount you wish to pay. Ferndale Gardens offers comfortable, state of the art individual rooms with ensuite access, courtyard garden views, and ample space for some personal furnishings and keepsakes. A choice of 4 room types enables residents, including couples, to have the area of accommodation that meets their needs and budget. All resident rooms also feature lockable doors, ceiling fans, quality curtains and floor coverings, individual heating, overbed lights, furniture and more. For pricing and additional information, please download the details here. There are so many reasons why elderly people enter aged care facilities. Some cannot live independently because of ill health, an accident or declining mental health. Others choose to enter a nursing home after reaching a mutual decision with their children or relatives who cannot be there for them 24 hours a day, 7 days a week. Finding the right residential aged care home is not an easy task, especially when there are many options. Not all aged care homes are created equal, and it is up to a senior's family or other primary caregivers to find the right, and the best, nursing home for their loved one. One of the most important factors to consider when choosing the right aged care home is the feeling you sense when you are there. It is important to make residents, especially those who need special 24-hour medical attention and supervision, feel right at home in a warm and comforting atmosphere. The home should be spacious and inviting, and in a location close to where the resident's family or friends live or work so they can come to visit whenever possible. An aged care facility with a low resident-to-staff ratio is ideal, and it should be staffed with qualified, compassionate and caring people. All this and more is provided by Homestyle Ferndale Gardens. In our aged care home, all residents experience only the best care possible, and receive the proper medical and emotional attention they need. Conveniently located at Bayswater North, Ferndale Gardens is a great choice for those who want only the best for their loved ones.